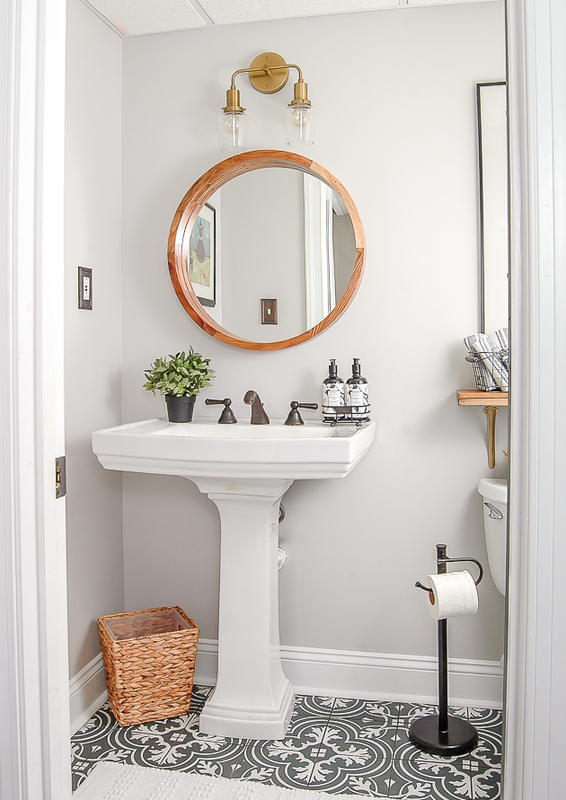 We are about to embark on our hallway bathroom renovation (yay!). 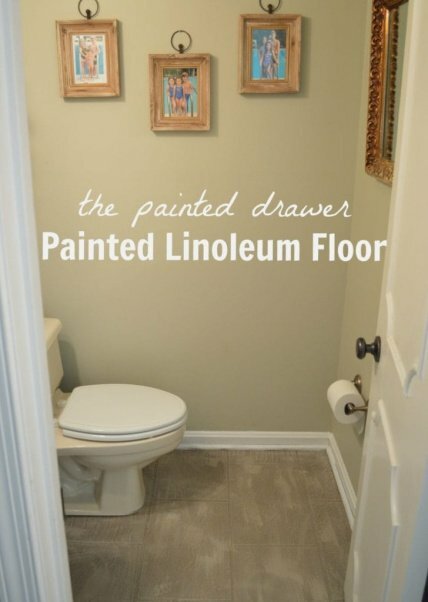 I had painted the linoleum tile flooring a few years ago and it has held up really well (post here). It was a great temporary fix but we are now ready to tackle a full gut job and remodel. Here are a few pics of what I am working with. It is a small powder room, with the vanity along the left side next to the toilet. 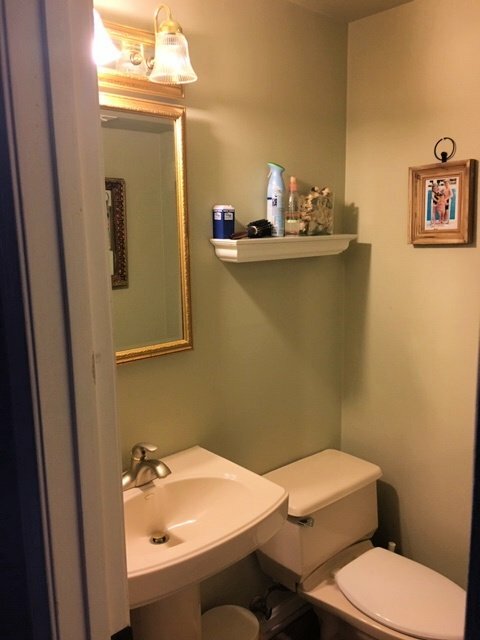 I measured and can basically fit a standard 24″ vanity in that space. I honestly never enter that bathroom because it is so awful. My husband and I plan on taking it all out sometime in the next few weeks – the sink, toilet, mirror, lighting, even the shoe molding. I then have some decisions to make! All the following photos are originally from Pinterest and not my own. The captions will link to the original posts, where available. Shall I tile the floor? Or since it is right off our hallway, should I have the same flooring run throughout? 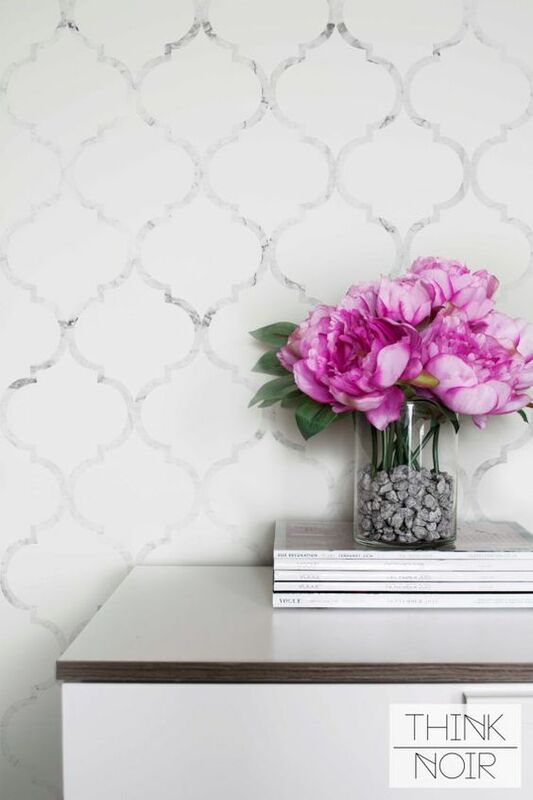 If I do tile the floor, then I definitely will not wallpaper or it will be too busy. 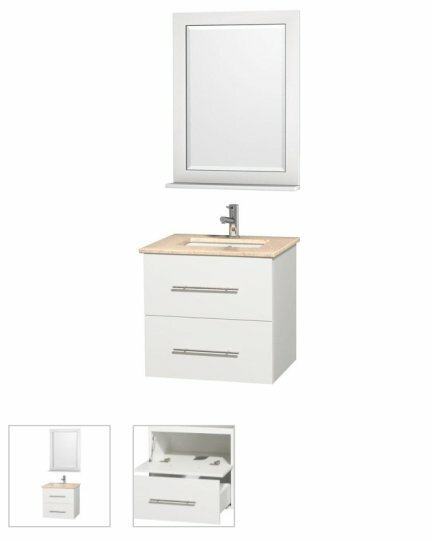 I love the look of a floating vanity and found a few options. The fact that it is a clean look and doesn’t take up a lot of space is a big plus. Our bathroom is super small and it may make it feel slightly larger. 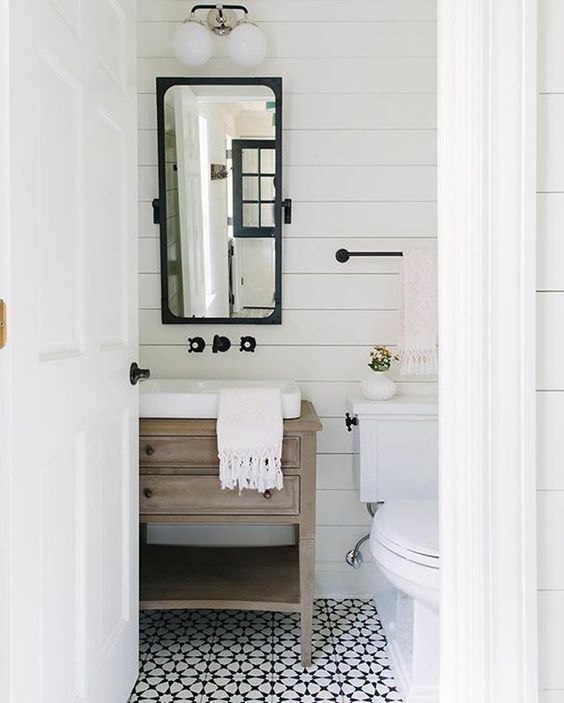 My husband needs to measure the space because if we go with the floating vanity, we will need to adhere it to the studs and are hoping that we can line it up to center it. The one below is from Home Depot and is pretty reasonably priced. But I really wanted the wood look (above) so need to keep searching. 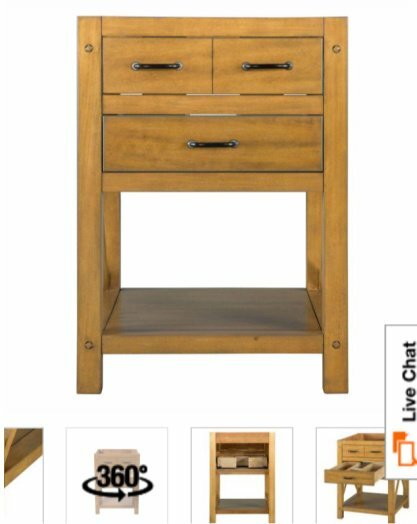 Or, we can go simple with this pine vanity. This is also from Home Depot and I like the farmhouse vibe. Our bathroom is dark and we need to add bright lights and a new mirror and I just adore these below. 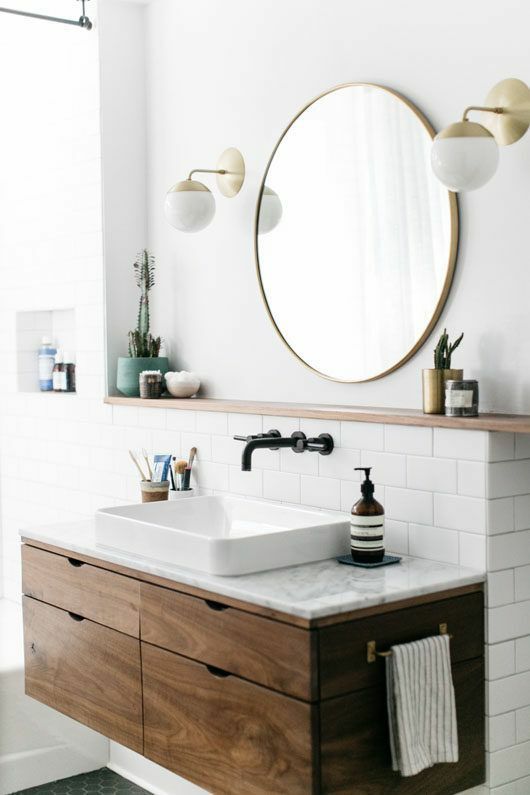 In fact, I adore everything about this bathroom! We have a ton of work ahead of us and I’ll keep you posted on the progress! 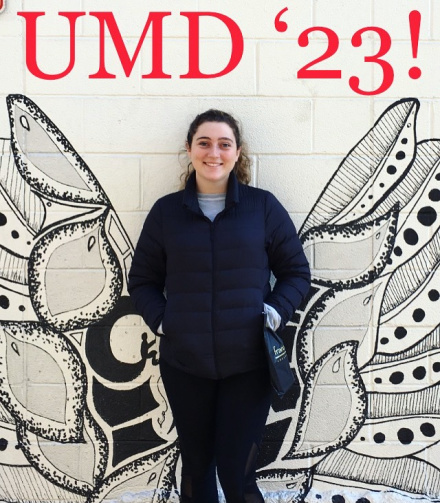 Ella is now officially a Terrapin 🙂 Stay warm, everyone! 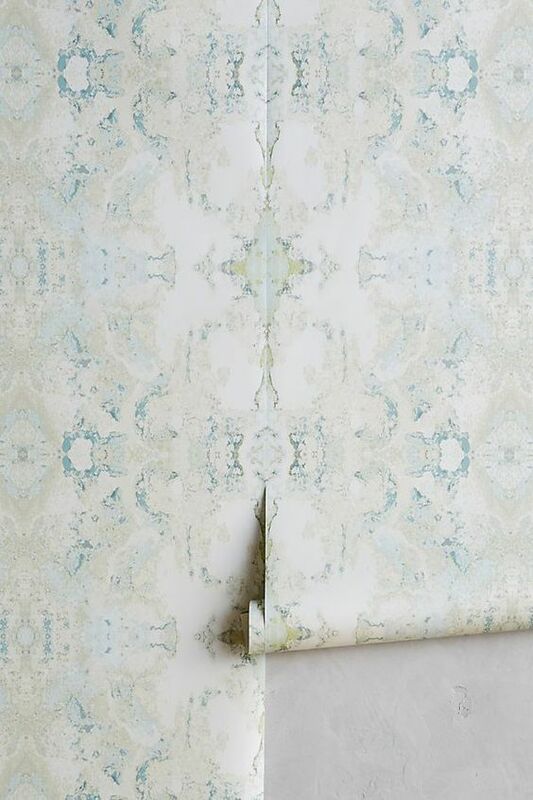 No wallpaper. Yes on the round mirror and lights. Yes on the floating vanity. Leave floor the same. I love everything about the last picture details. 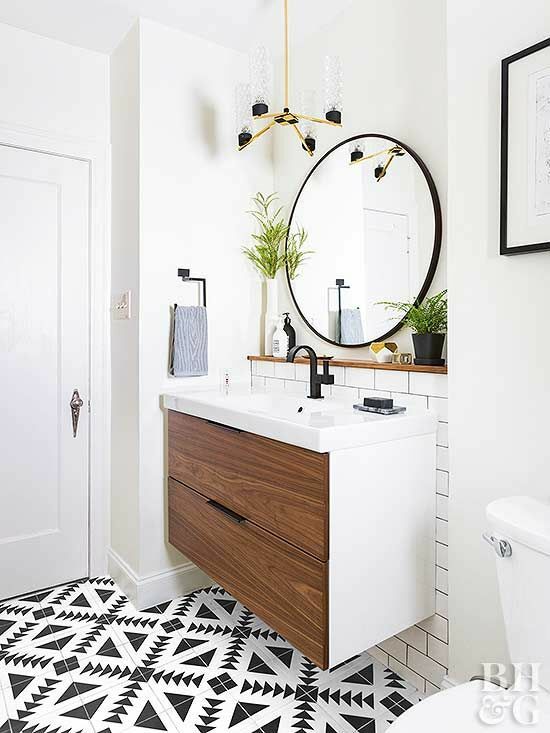 We renovated our small shower room last year and purchased a floating vanity and toilet – I would certainly recommend purchasing this style – apart from making the room look more spacious, it also is far better to keep clean. I would also recommend perhaps having a sliding door instead of having the door opening inside your bathroom. We had one fitted and it saves so much space in your bathroom, specifically when they are quite small. 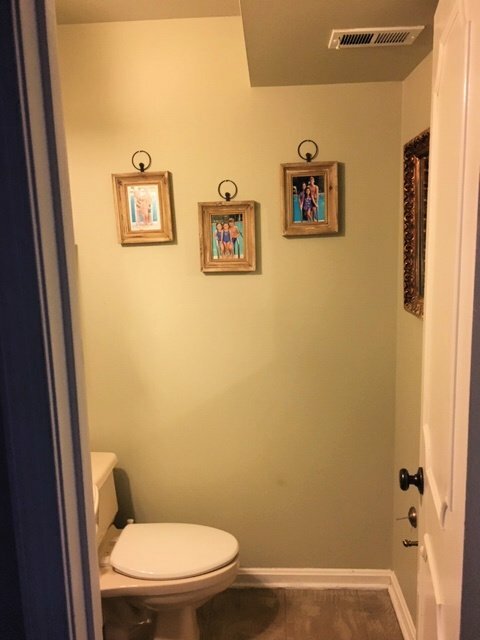 Good luck and happy designing your bathroom and will look forward to seeing your pictures.